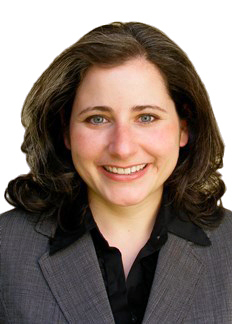 Katrina Pagonis is co-chair of the firm's regulatory department and a nationally recognized expert on implementation of the Affordable Care Act’s market reforms, including the federal regulation of government-sponsored and private managed care plans and the establishment and operation of Health Insurance Exchanges (“Marketplaces”) like Covered California. Ms. Pagonis regularly advises clients on the impact of health care reform, as well as emerging health care reform proposals (from repeal-and-replace to single payer) at the state and national levels. She also provides regulatory and strategic advice to health care providers concerning managed care issues more generally, including out-of-network reimbursement, network configuration (narrow and tiered networks), reference pricing and cost-sharing limits, managed care contracting, and enrollment assistance activities. In addition, Ms. Pagonis regularly assists health care providers—including hospitals, long-term care providers, suppliers, pharmacies, hospices, physicians and medical groups—with a broad range of regulatory and Medicare/Medicaid reimbursement matters. She is an expert in site-neutrality initiatives for hospital outpatient services, meaningful use of electronic health records, health care technology, clinical trial agreements, antitrust, and internal investigations. Ms. Pagonis represents providers in government investigations and False Claims Act cases and assists providers that have credible information regarding potential overpayments with the investigation, identification, reporting, and returning of overpayments. Ms. Pagonis is a former judicial law clerk of the U.S. Court of Appeals for the Ninth Circuit and the U.S. District Court for the District of Nevada. Until 2012, she was a full-time professor of health law at Hamline University School of Law in St. Paul, Minnesota. Ready for Compliance with Revised Common Rule?